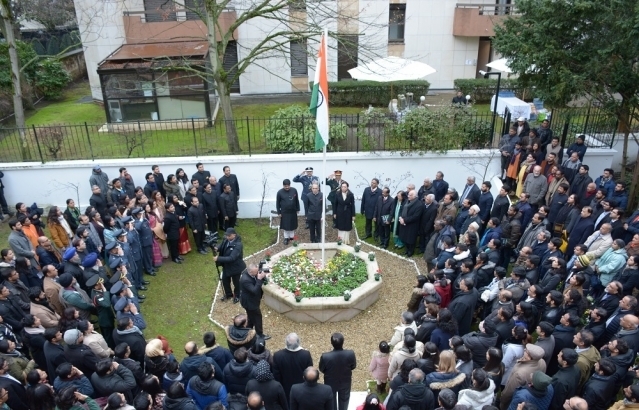 Republic day photos and text : Embassy of India,Paris celebrated the 70th Republic Day of India along with the Indian community in France. 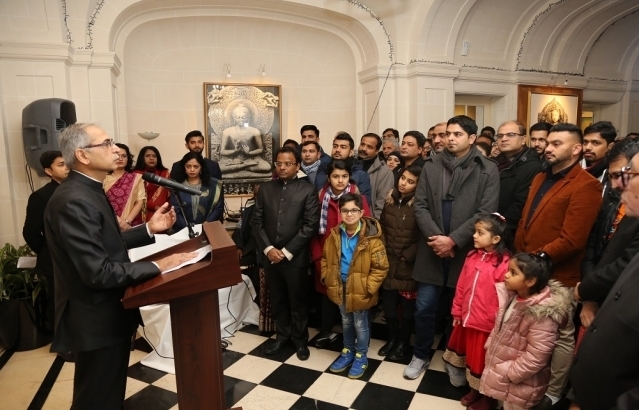 Ambassador of India Shri Vinay Mohan Kwatra unfurled the Indian flag and addressed the gathering with excerpts from the President's address highlighting that we should remember the ideals of Indian democracy and contribute to its development. 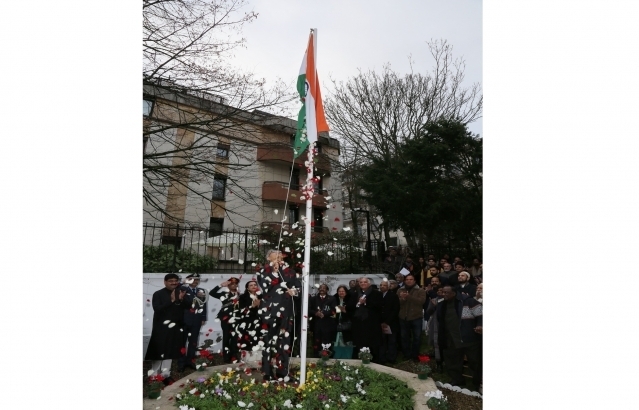 This year marks 150th birthday of Gandhiji,a joy to be shared with the world. 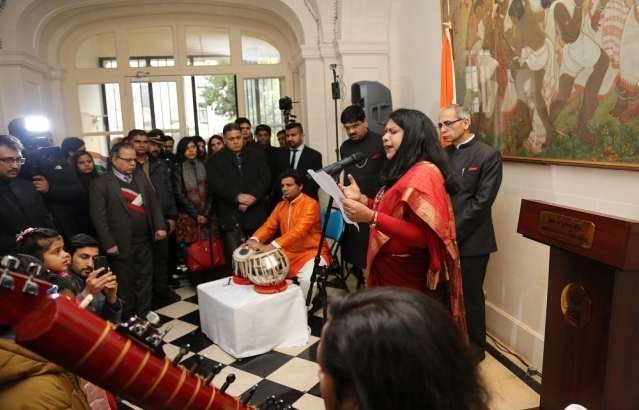 The President's address to the nation was read out by Ms. Mallika Sudhir in the presence of Ambassador Shri Vinay Mohan Kwatra.